Ask most people what their least favorite thing to do is, and many of them will tell you that they are terrified of going to the dentist. Whether they had a bad experience as a kid or just don’t like certain aspects of treatment, the dental office can be a tough place to visit for many people. Sadly, avoiding the dentist can lead to bigger problems, higher costs, and more unpleasant experiences. Our goal at Contemporary Dental is to make what can be an unpleasant experience a truly great experience that makes people happy to be a part of our dental family. For patients who are anxious, we are willing to take the time to make them more comfortable, to establish trust, and to make them feel like part of the family. Some patients need a little extra help, and we offer a variety of sedation options to make their experience smooth and easy. 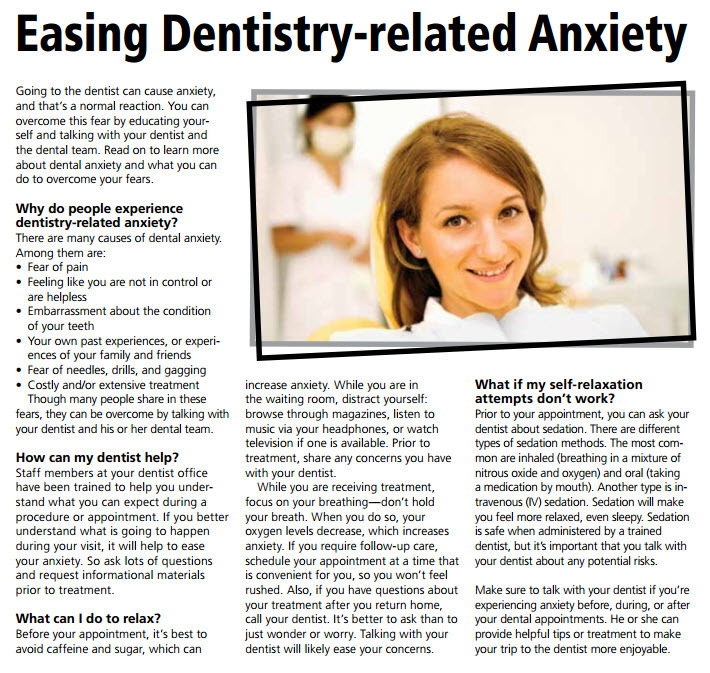 Read more below to find out about modern options for dental anxiety.